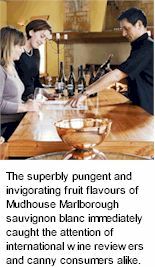 An assemblage of superior clones Pinot Noir, picked off the Mudhouse estate vineyard in the Bendigo precinct of Central Otago. A challenging site to grow fruit, vines are planted to three terraces with slightly differing microclimes, encouraging grapes to achieve an allsort of complexity and tannin profile. A measure of whole bunch inclusion builds texture and infuses layers of flavour, a soundly structured and well proportioned Pinot Noir with the palate weight and depth of fruit to accompany traditional roast with root vegetables and red wine Jus. Free draining loam soils over schist gravel make the property ideal for harvests of outstanding Pinot Noir. The huge diurnal temperature variation adds to the structure and concentration of the wine. Grapes are gently de stemmed, allowing whole berries to remain intact. After a week of cold soak, each parcel is separately vinified through mix of wild and cultured yeasts. Batches are hand plunged for optimal extraction of colour, flavour and tannin. Ferments are pressed into a selection of seasoned and new French oak barrels for completion of malolactic and a term of maturation before assemblage into the finished wine. Ruby red colour. Aromas of dark cherry and berry fruits, spice, floral and dried herbs over a background of well intergrated oak. A smooth palate of dark cherry and bramble flavours, fine tannins in support, before an exquisite finish on a length of lingering black cherry flavours and balanced, raspberry acidity. Match your Mudhouse to twice cooked duckling or truffe et Port Salut soufflé.